RESEARCHERS of the University of Santo Tomas (UST) have topped the 2018 National Invention Contest and Exhibits (NICE). 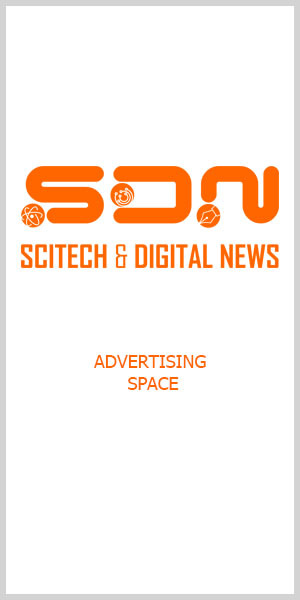 Dr. Edgar Garcia, director of the Technology Application and Promotion Institute of the Department of Science and Technology (DOST-TAPI) relayed this to Scitech and Digital News. He said the winners were announced during NICE on August 14-16 in Pasay City. In the premier category — Outstanding Invention (Tuklas) Award of NICE, Garcia said the winners are Dr. Mary Beth B. Maningas and Dr. Benedict A. Maralit of UST, Manila. “They won Php300,000, a Plaque and a Certificate of Recognition from TAPI, and a Gold Medal from the WIPO (World Intellectual Property Organization),” said Garcia. He said the UST pairs’ winning entry is titled “Lamp Primers for White Spot Syndrome Virus” with Patent No. 1-2013-000158. Director General Josephine R. Santiago of the Intellectual Property Office of the Philippines (IPOPHIL) reaffirmed the vital role of intellectual property (IP). “IP (intellectual property) is at the core of the Fourth Industrial Revolution as it was in the preceding revolutions because it signifies that the technology consisting of products, processes, improvements, or combination of these, is a solution to a problem in an any field,” said Santiago. Second prize of the Tuklas Award went to “Veterinary Medical Table” with Patent No. 1-2012-000071, the entry of Aurora A. El Estwani, he said. She won Php200,000, a Plaque and a Certificate of Recognition. El Estwani is from Cabadbaran City, Agusan del Norte, Garcia said. Oustanding Utility Model, the entry called “Portable Unihoused Water Purification and Sterilization Apparatus” of engineer Rodrigo P. Duque of Baguio City took the first prize. He won Php200,000, a Plaque and Certificate of Recognition. The second prize went to the “Renewable Resource-based Biodegradable Thermoplastics” entered by Dr. Marissa A. Paglicawan, Dr. Blessie A. Basilia, Ma. Teresa V. Navarro, Carlo S. Emolaga, Delmar Marasigan, and Ms. Rosito P. Cerbito, all from the Institute of Technology Development Institute (DOST-ITDI) in Bicutan, Taguig City. Paglicawan’s team took home Php100,000, a Plaque and Certificate of Recognition. For third prize, it went to “A System of Treatment of Municipal Solid Waste” of Genovevo C. Sebastian of Angat, Bulacan. He won Php50,000, a Plaque and Certificate of Recognition. In the Outstanding Industrial Design, the first prize with Php200,000, a Plaque and Certificate of Recognition from TAPI and a WIPO Plaque was won by the “Interlocking Block (Ecoblock)” entered by Justino R. Arboleda of Quezon City. Second prize belonged to the invention dubbed “Baby Chair” participated in by Romulfo C. Sanchez of Bayombong, Nueva Viscaya. He got P100,000, a Plaque and a Certificate of Recognition. “The Multi-Purpose Chair-Table with Lamp Designer” which Vito Angelo D. Selma of Binlad, Cebu City, received the third prize that came with Php50,000, a Plaque and a Certificate of Recognition. For the category Likha Award (Creative Research), the first prize was won by the “Impeller Compact Ricemill” entered by Dr. Michael A Gragasin, Dr. Romualdo C. Martinez, and Jayvee P. Illustrisimo, all of the Philippine Center for Postharvest Development and Mechanization (PhilMech), Nueva Ecija. They received Php100,000, a Plaque and a Certificate of Recognition. Second prize went to the “Development and Utilization of Actinomycetes as Biocontrol Agents against Panama Wilt causing Fusarium Oxysporum in TR4 in Cavendish Banana (ACTICon)” by Irene Papa and Teofila Zulaybar of Los Banos, Laguna. Between them they got Php50,000, a Plaque and a Certificate of Recognition. For the third prize, this went to “Nanoscaled Polyaniline Films for Smart Packaging Application” from Dr. Joel G. Fernando of Western Mindanao State University (WEMSU), Zamboanga City. His entry won P30,000, a Plaque and a Certification of Recognition. First prize, “Flame Emission Photometric Determination of Iron via Digital Imaging-Based Detection” of Sandra Mel M. Branzuela, of Pamantasan ng Lungsod ng Maynila (PLM), who got Php100,000, a Plaque and a Certificate of Recognition. Second prize belonged to “Facade-Integrated Fog Collector: A Supplementary Residential Water” entered by Jireh Grace E. Pihoc, John Carlo G. Marquez, Jayarr N. Urbano, Sydneyton Barri P. As-II, Julienne Cristy D. Saliwan, and Reina Joy H. Alip of Saint Louis University, Baguio City. They got Php50,000, a Plaque and Certificate of Recognition. Third prize went to “Electronic Mosquito (Cullicidae) Repellent Bracelet” of Kenny Waller C. Diolola from Notre Dame Kidapawan College, Kidapawan City, North Cotabato. He received Php30,000, a Plaque and a Certificate of Recognition. In the high school bracket, first prize was won by the “Pectin-carboxymethylcellulose Biocapsule for Potential Colon Targeted Oral Drug Delivery belonging to Felix Arthur C. Dioso, Jeremae Aira M. Moderno, and Coleen A. Quirim, PSHS-SMC, Tugbok District, Davao City. They shared Php100,000, a Plaque and Certificate of Recognition. Second prize which came with Php50,000, a Plaque and a Certificate of Recognition, went to “PinDOT: Low-Cost Arduino-based Braille Printer” of Xyz Phoelane Beth-Amiel C. Dagum, Bea May Clarisse A. Tacdoro, and Ericka Michelle L. Factor, PSHS-SRC, Koronadal City, South Cotabato.